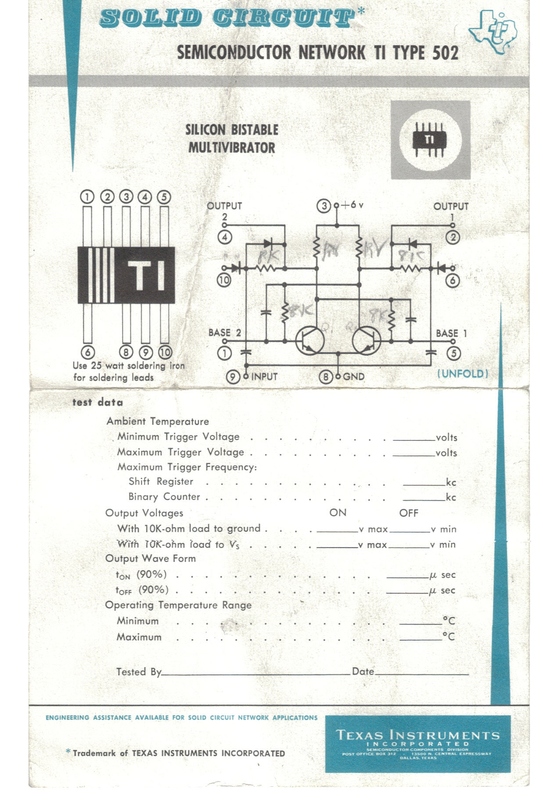 the schematic of the F/F and the other side was the 'data' from the device signed by the operator (technician) who took the data. The original circuits sold for $450.00, not a bad 'asp', but we still lost money with every one we shipped! This was in late 1960 - early 1961.” Donated by D.C. McKenzie.